There are lots of well-groomed slopes suitable for all levels of difficulty in Germany’s largest ski area, the Skiarena Fellhorn/Kanzelwand. 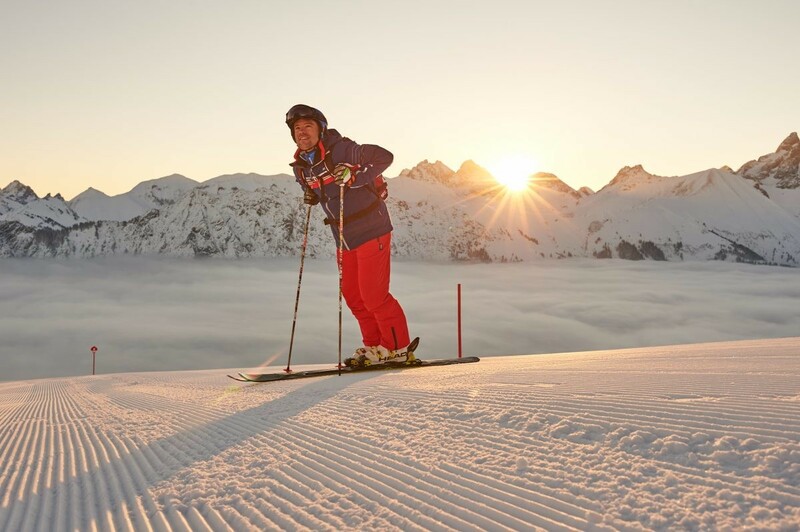 Most of the pistes can be prepared with snowmaking equipment and can be accessed via modern lifts. Another highlight in the ski area Oberstdorf – Fellhorn/Kanzelwand is the Crystal Ground Funpark near the Kanzelwand valley station. Snowboarders find perfect conditions here as well as a mogul slope. A fun park for beginners and children can be found near the middle station. The cross-boarder ski region Fellhorn/Kanzelwand offers something for everyone. For those who prefer to leave their skis at home and merely enjoy the landscape there is one winter trail available leading from the middle station to the Schlappoldalpe. Get snow reports and powder alarms from Fellhorn - Kanzelwand straight to your inbox!